On 19 May 2017, together with A/S Latvijas Valsts Meži and Mazsili tree nursery, the Erasmus+ team (6, 7, 8, 10 and 11th Form pupils) learned about pine and fir growing and participated in forest planting work. Overall, we planted 2000 pine seedlings. On Wednesday, we went to Pärnu Science Centre, where we saw how a city teachers’ initiative had grown to a science centre regularly visited by Pärnu schoolchildren. We participated in a study workshop about using tablet PCs to study astronomy. On our way to Estonia and Saaremaa we found out about many games that we could play on the bus. On Thursday and Friday, we learned from our Estonian colleagues (at Kuressaare Gymnasium) how to use robots, interactive blackboard and smartphones in the study process. In November 2016, we visited a school in Myrskylä, Finland, where we learned about various extracurricular activities. 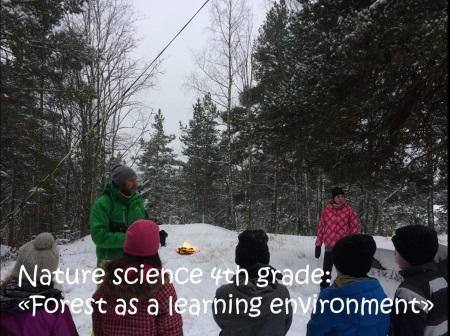 We were shown studies in school classes, schoolyard and even in the forest. We observed how entertaining maths (for example, adding number in the snow), coding, natural sciences, chemistry and physics classes were created. For more information about the event, see the project website. 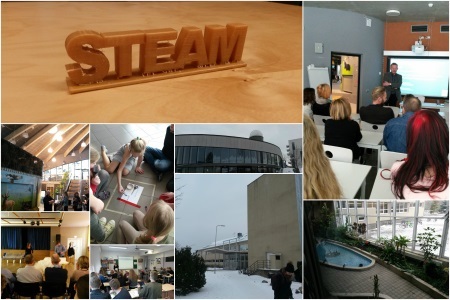 This year, the school started participating in a new Erasmus+ project Full STEAM ahead for better education. 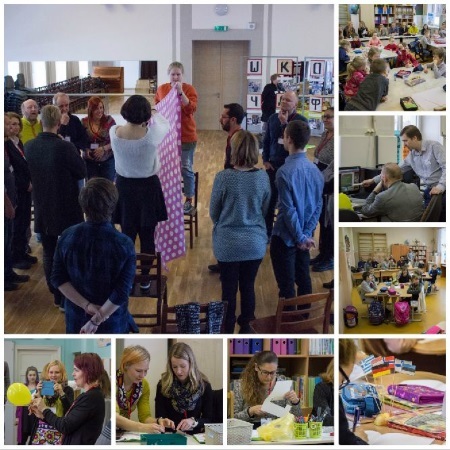 The objective of the project is to exchange and share knowledge, methods, pedagogical practices related to teaching STEM subjects using various forms of art and making school a place where children are actively involved in the studying process. One school from Norway, Germany, Estonia, Finland, Greece, Spain and Latvia take part in the project. The first task of the project was to create a greeting video in which each school would present itself in its language. Let’s get acquainted!